First, You will melt your chocolate. 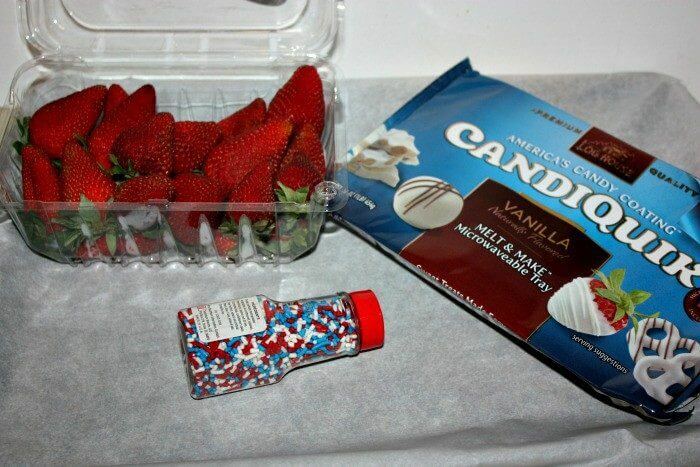 Lay out some parchment paper on a baking sheet to set your strawberries on. 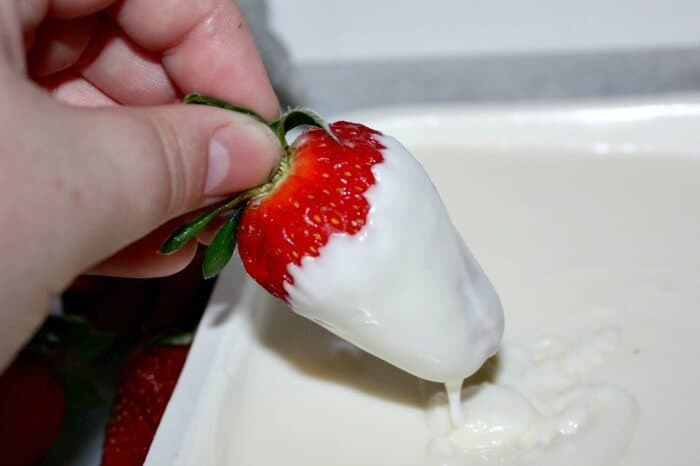 Wash your strawberries and one at a time dip them into your white chocolate. Make sure to let the excess drip off. 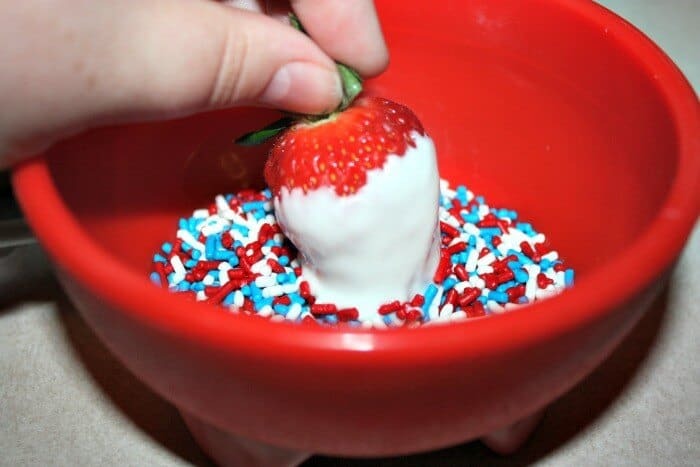 Next, Pour your sprinkles into a bowl and while your chocolate is still melted dip your strawberries into your sprinkles and roll to coat. 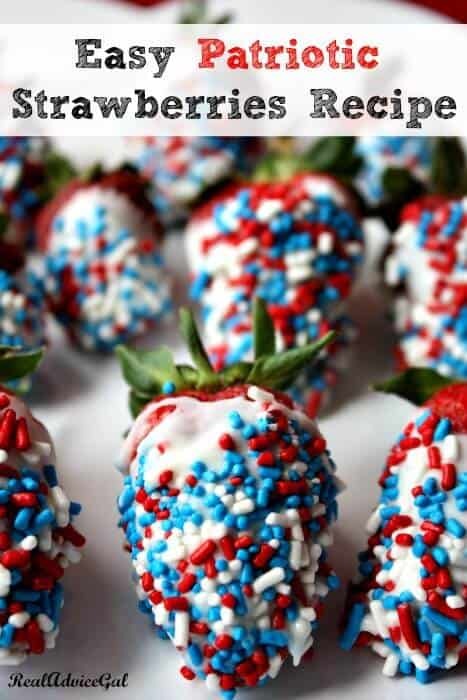 Place them on your parchment paper and stick them in the fridge to set. That’s it! 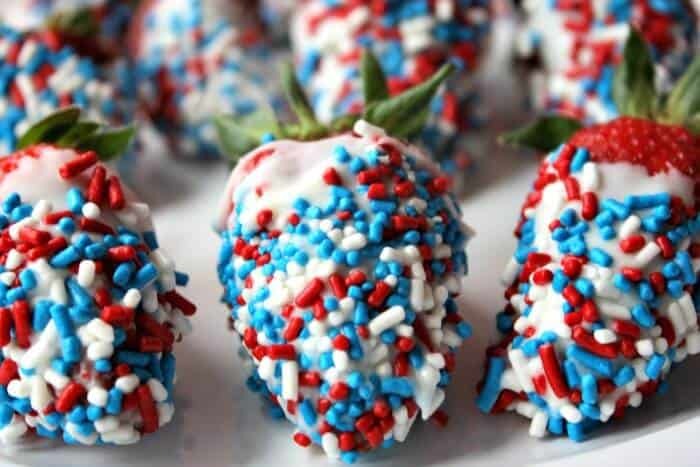 Just a few steps and you have a wonderful patriotic treat that everyone is sure to love! 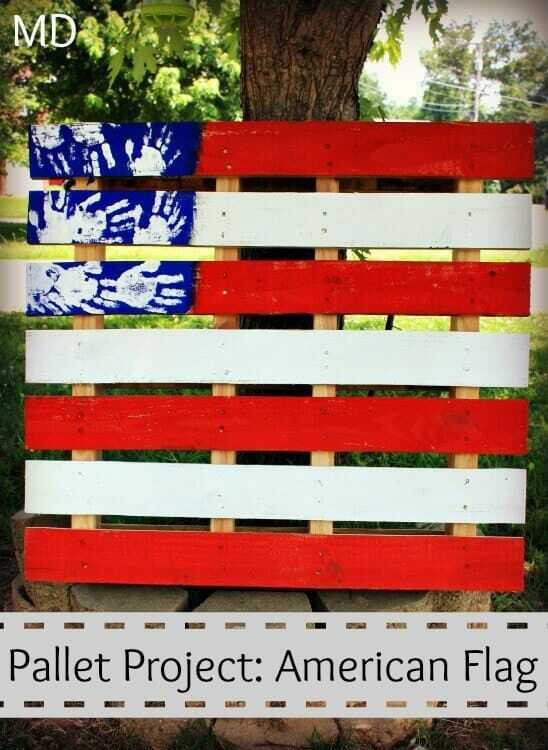 My daughter loved making these with me and they tasted great! 10 Ways to Exercise Your Brain in 5 minutes or Less!